It is likely that at one point or another in your life, you have needed advice to help make certain decisions. The advice provided is usually from someone we trust or an individual that has gone through a similar experience making them an expert on the matter. It is for this reason that online companies that offer advice through chat have been set up to make it easier for online users to have their questions answered. If you are good at giving advice on a variety of topics and have excellent communication skills then the companies below may be an avenue for you to make cash. Apple offers home based chat advisors positions to regular workers as well as students in college. The positions are for full time and part-time work with the compensation being quite competitive when compared to other similar sites. Applications are accepted on the site and those that are shortlisted are interviews via Skype. Chat agents are on hired with Arise as independent contractors and they can set their own work schedule. The pay is good and can go as high as nineteen dollars an hour with the lowest being nine dollars per hour for satisfactory answers. Advice on this site is given by interacting with users looking for answers to their questions. Payments are made through Paypal. This site is open to users worldwide. This is one of the most popular sites that offer support through text messaging to many people that ask questions through their short code number 242242. When a question is sent in, it has to be replied within a few minutes for you to earn one cent. However, the site only hires residents of the United States to work on the site. If you are looking for part-time work as a chat support agent, My Live Pro offers you the opportunity to do so. The company is based in the United States and asks interested applicants to upload their resume for an opportunity to work for them. Currently, the site has no open for jobs or opportunities for chat agents. Support agents hired by the site are expected to recommend features of different products to users on the site. They are also required to offer consultation services on sales matters on behalf of the companies that have hired them to recommend products as well as services on their behalf. Payment on the site is hourly and usually ranges between nine to fourteen dollars for each hour. It is a site that hires experts from around the world so that they can provide answers on various topics under their area of knowledge. If you get to be part of the site, you are allowed to set a consulting rate on an hourly basis which online users will pay after they receive answers from you. 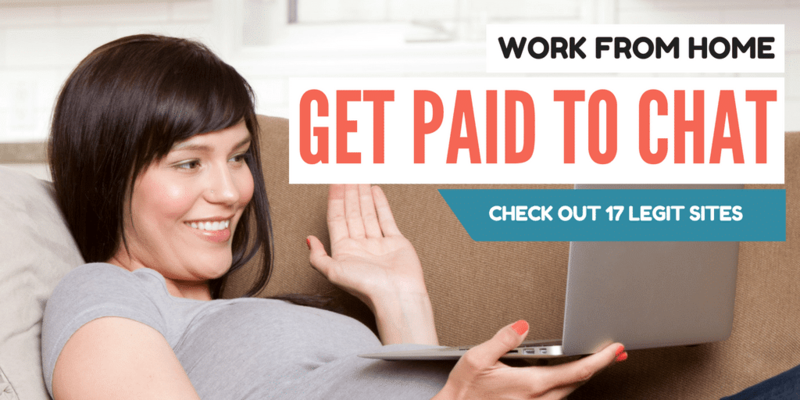 Weebly is a site that offers jobs for chat agents that are looking for part time work, usually twenty to twenty five hours on a weekly basis. When working for the site, you will provide replies to customers’ questions through e-mail as well as other support they may need. The questions asked on the site are varied depending on the company they are acting on behalf. Payment is around $17 per hour. Must be located near Scottsdale, AZ for training. This site brings together experts and the people that need their questions answered on different topics. Qualified experts on the site are matched to individuals that have questions in their area of professional expertise. To answer questions on the site, you will have to register with LivePerson so that you are provided with necessary tools to enable you assist clients as well as colleagues on the site. Every time an expert gets hired by a client through the site, they are remunerated according to the agreed rate. Payments are usually made through PayPal, making it important to have an account set up before applying for a position on the site. KGB is a mobile text service through which chat agents answer requests sent in to them by different online users. The directory assistance service is considered to be a leader in the United States and is outsourced by many companies to work on their behalf. However, residents of Canada as well as the Philippines can also apply for positions as support agents. Payment is between three cents to ten cents for each question answered. This site has availed a number of resources to those that choose their site as an avenue through which they provide answers to questions. As a support agent on the site, you can choose to communicate with an online user through regular chat or video chat. However, phone conversations are also allowed as long as the client is agreeable to that form of communication. When working with a customer, you have to agree on the amount you will charge as a first step, and then decide on the mode of communication, which may be chat or phone. Support agents hired on the site provide help to clientele that are abroad as well those based in the United States. The questions are answered through live chat with the products or services being addressed being technical and non-technical as well. For technical questions, Capital Typing only hires certified engineers to answer the questions. Weegy is a home based site that allows their experts from around the world to answer questions that have been asked through their site. It is basically a Q and A site that awards experts with $0.20 for every satisfactory question they answer. Televated is the ideal site for those looking for home based customer support jobs that pay well. Apart from offering jobs for live chat help, they also have positions where customers are responded to using e-mail as well. They also pay hourly, which can be around eight dollars for each hour but they make working for them much better by offering incentives as well. If you love shopping then this site is the best place for you to give advice on current products that are available in different stores. Customers send in their questions on different areas on shopping and they get answered through the online platform. Payment on the site is on an hourly basis and the schedule for working is flexible as well. Chat agents on the site work virtually with the pay being ten dollars for every hour spent answering questions. The site requires those seeking employment positions with them to have a computer and internet connection that is reliable. Also, chat agents hired by the site must be able to type at least sixty words per minute. This site hires professionals from around the world to answer questions resulting in them earning a share of the sites revenue. The questions can be about different topics and even products that they come across on a daily basis. In addition, submission of articles on the site also earns online user money upfront. 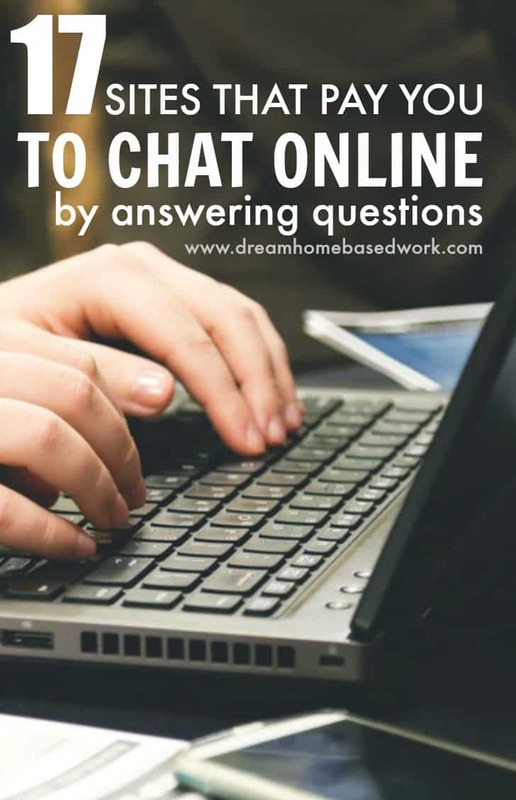 Overall, chatting online and answering questions can be a good way to earn money especially when working for a reliable site. Lashay you are a God sent blessing to those of us looking for more flexibility in our family life while still having income…THANK YOU!! !